You are currently browsing the tag archive for the ‘street tree removal’ tag. After 110 days Richard Pennicuik has come down voluntarily from his tree sit-in protest. Amazingly, City of Gosnells Council still intends to chop this tree down despite the tree proving itself to be sturdy by not falling down during last Monday’s severe storm that caused $200 million of damage. Well done! Whatever you think about the tree, you really must admire the strength & determination of a man who is prepared to suffer for his principles. 1. 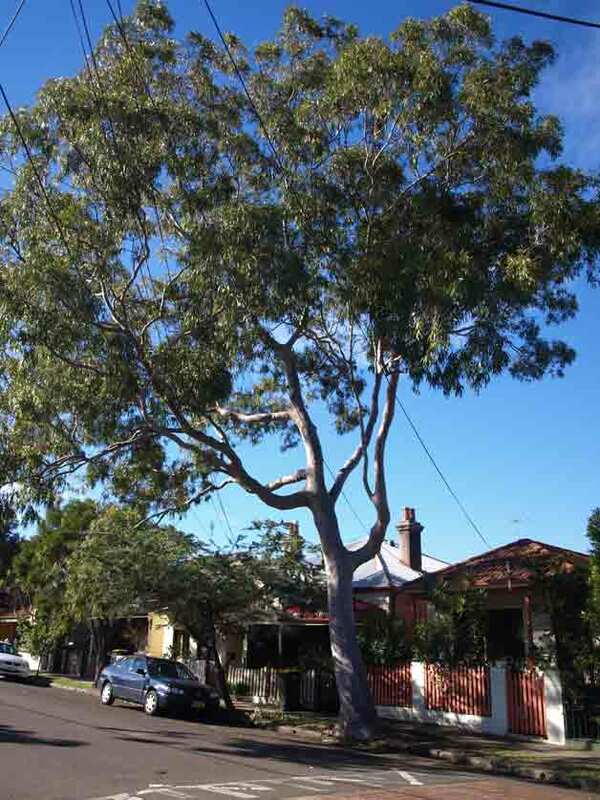 3 street trees are up for removal in Marrickville LGA. 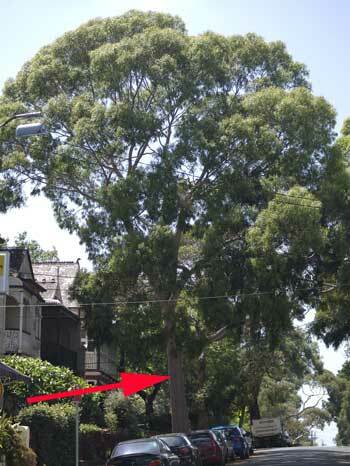 One of them is a Eucalypt outside 11 Union Street Dulwich Hill that SoT & the community campaigned to save back in June 2009 https://savingourtrees.wordpress.com/2009/06/16/first-tree-at-risk-union-street-dulwich-hill/ & https://savingourtrees.wordpress.com/2009/10/26/26th-october-09-beautiful-healthy-street-tree-lives-on-because-of-you/ The other trees are in Hamden Avenue Marrickville & Railway Crescent Petersham. I will go have a look at them & post something when I know more. 3 storey town houses with underground parking. 9 of the townhouses will face Hoskins Park. The community is opposing this DA for a variety of reasons. They are also very concerned the townhouses will loom over Hoskins Park. This is a reasonable fear because the bulk of Hoskins Park is located at the bottom of a natural valley. SoT is concerned about this DA for 2 reasons. 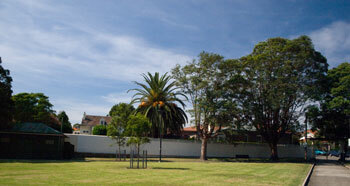 Many mature trees will be removed (hopefully Council will insist that a mature Palm on the site is relocated). The proposed development does not appear to leave any room for replacement tree planting as it seems to want to occupy all the land with the buildings & rely on the park for green space. The DA is expected to be before Council sometime in April. One of the 2 houses in Piggot St which are to be demolished for the DA next to Hoskins Park. It’s gorgeous from the outside. This would not be allowed in Haberfield as they are protecting their heritage. ON page of this site. I was invited by Marrickville Greens to go to watch the magnificent Lemon Scented Gum street tree in Cambridge Street Stanmore being chopped down by Marrickville Council. For various reasons I declined, but I know I did not want this image imprinted on my memory. I have come to love this tree & I am distressed about its loss. To me, it was no ordinary street tree. 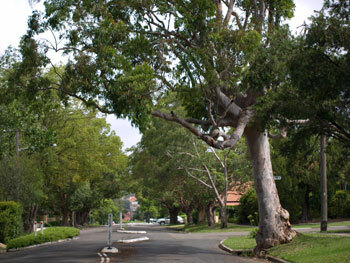 Marrickville LGA has some gorgeous trees, mostly in parks, though there are also good ones that are street trees. However, we have thousands of butchered, stumpy & not good-looking street trees all over the LGA & it is noticeable if you look. I think many of us have become desensitised to the ugliness of our street trees because their disintegration happens over time & we just get used to seeing them in this poor condition. Leave the LGA & you immediately notice the differences. The Lemon Scented Gum in Cambridge Street Stanmore was one of the better-looking street trees in the whole LGA & this is not an exaggeration. Do I think this because I like Gums? Yes & no. I do like Gum trees, but I also like most other trees. I am an all-round tree lover though I admit to preferring tall stature trees & especially trees which flower & provide food for insects, birds & animals. I think it is necessary in an urban environment to think about wildlife when choosing trees to plant. I also think we have a duty to provide food for these creatures who are losing more & more food resources every year. If you don’t believe me, put out a birdbath in a safe place in your garden & watch how long it takes for birds to arrive. They are short of water as well. When we built a fishpond, the rare frogs of the area arrived within 2 days & there wasn’t other ponds around. Where did they come from, we wondered. If you plant flowering trees & shrubs that feed birds, they will come in droves & the air will be filled with birdcalls. So for a tree of this magnitude to be cut down seems ridiculous to me. The tree provided refuge for both wildlife & humans because it was a flowering native tree & its canopy significantly cooled the air in the street. This is not a feeling I am used to when I walk the streets of my local area. Mostly I cannot walk during the day because the streets are so hot with the heat reflected by the road & concrete. I believe that as temperatures rise due to global warming, the heat island effect is going to get worse & we are going to bake. City of Sydney Council recognises this & intends to plant 10,000 more trees in the CBD this year to counteract the heat. I am aware the residents who wanted the tree removed said it was causing cracking to their house & Council felt hamstrung because of the potential of litigation. However, because we do not have a Significant Tree Register, our public trees are vulnerable. Cracking to houses can always be repaired & it is something we should expect when we live in 100 year old houses, which are built on clay soils & with poor quality mortar. 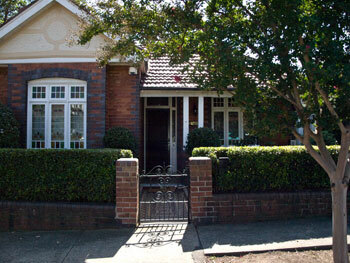 In fact, even renovated houses in the Inner West need regular work as they are always deteriorating. It comes with the territory. That’s why many people prefer to live in modern units or project homes that are built on cement slabs. As a norm, tree roots are not strong enough to lift a concrete slab. When we respect trees & fully appreciate their positive impact on our lives & vital role in our civilization’s existence, if atmospheric levels of CO2 continue to rise as expected, then we will do everything we can to keep our mature trees that sequester large amounts of CO2. The removal of this tree affects the whole community, not just the residents of Cambridge Street. First is it one tree, then another tree & so on. Before we know it, the whole streetscape is changed & not for the better. It took 40 years for that tree to grow a 2.5 metre girth & it had at least another 60 years of life left in it. Eucalypts often live 100 years or more. All it took was 4 ½ hours for it to be gone. The Marrickville Greens tried to get a stay of execution to try other methods to repair the cracking & fix the problem at ground level. The Labor & Independent Councillors had to power to grant this so that amelioration could be tried to give the tree a chance to be saved. I would have conceded defeat if all avenues had been tried & agreed the tree needed be removed, but these avenues weren’t given a chance. I am sure the Greens feel the same as I do. This tree was also worth a lot of money to the community & especially to Cambridge Street. Better to sell a house before a tree is cut down than after. Our tree assets get voted out because of concrete, their particular species, because they are old, because, because, because. I have not yet seen tree saving strategies voted in during council meetings, only the opposite. Trees are seen as a nuisance & a liability. The reality is: not having trees is a liability. I will work with Labor & the Independents as well as the Greens if they are pro-trees & the greening of Marrickville LGA. However, since I have started, I have noticed that support for my vision comes from the Greens & not from Labor or the Independents. To be fair, Labor did reverse their decision over the Mackey Park Figs, but not until after a community protest of 300 people & an even larger petition. Once again, regarding the Cambridge Street tree, the Greens voted to keep the tree. Once again, the vote to remove the tree comes from the other counsellors. Is it a pattern? Saving Our Trees hasn’t been alive long enough to be able to answer this question. Frankly I was shocked when I read on the Greens website that: Independent Councillor Dimitrios Thanos recently emailed Councillors & staff saying: “I’ll grab my chainsaw & meet the staff down there on the appointed day.” I just know he & I are not on the same page when it comes to trees.